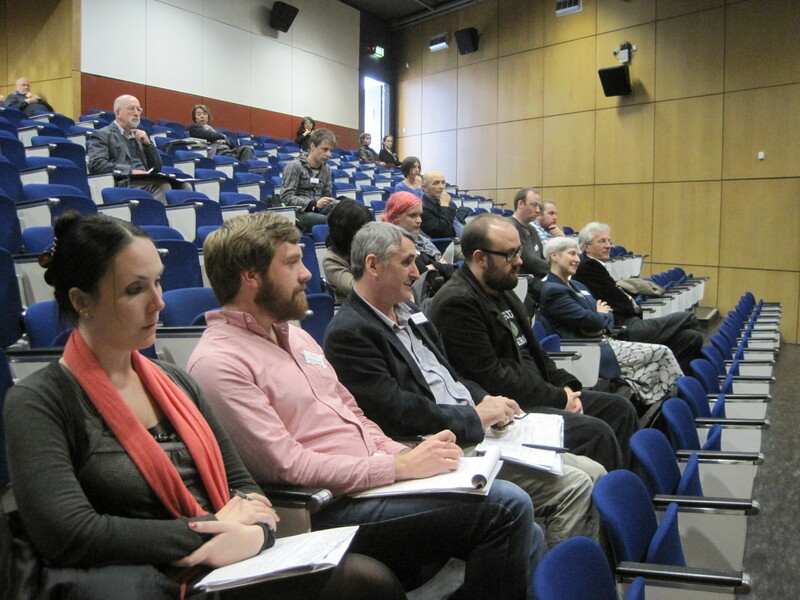 The second ISASR conference was held at the Clinton Institute at University College Dublin from 10th-12th May 2013. More than thirty papers were presented, comprising two keynote lectures, one public talk, and eleven parallel sessions. The weekend included talks by scholars from Ireland, the UK, the USA, France, Canada, Argentina, Germany, Poland, Sri Lanka, and India and addressed a vast number of topics ranging from Irish folklore to Buddhist chaplaincy to Theosophical history. This report offers a review of selected sessions. The conference was opened by Dr Patrick Claffey, President of the Society, and immediately followed by the first keynote lecture, delivered by Prof. Crawford Gribben of Queen’s University, Belfast. 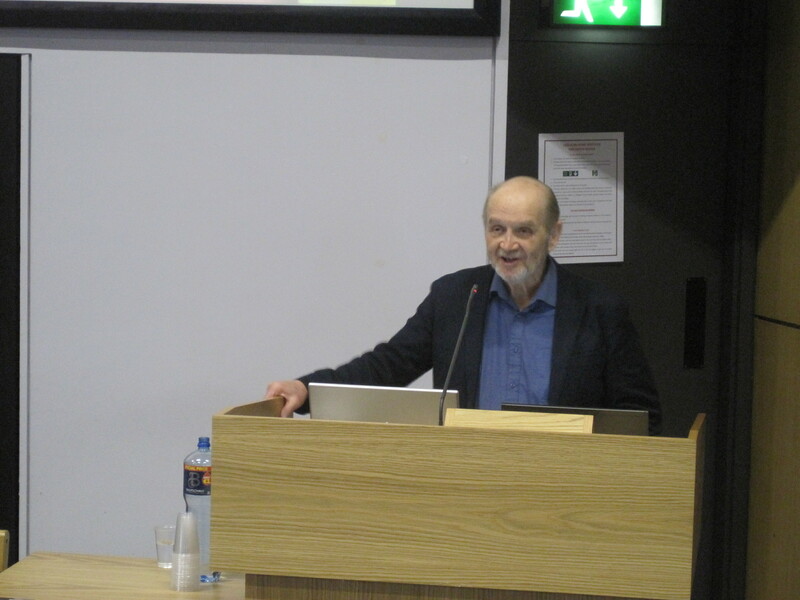 Prof. Gribben’s comprehensive talk entitled Ireland, America and the End of the World addressed the development of apocalyptic ideology in historic Ireland and contemporary America. This was followed by a lively discussion about modern Christian pop literature and the challenges faced by scholars attempting to trace the transmission of ideas across history and geography. One of the first parallel sessions focused on the Theosophical Society in Ireland and India. It was opened by Colin Duggan (University College Cork), who outlined the development of the idea of Universal Brotherhood, the position of the society under Blavatsky and Olcott, and the impact of socialism on Theosophical discourse in The Theosophical Society and Politics. In her paper James and Margaret Cousins: Theosophy and Irish Identity Rachelann Pisani (York University/NUI Maynooth) spoke about the “creation and re-creation” of Irish identity through an examination of the lives of James and Margaret Cousins, focusing on how Margaret understood her colonised experiences as two-fold: both through British imperialism and patriarchy. She illustrated the manner by which Cousins’ efforts in India reflected her belief in Theosophy as a de-colonising force. The panel concluded with Women, Theory and the National Movement in India: Besant and the Cousins by Prof. Jyoti Atwal (Jawaharlal Nehru University). In this paper Prof. Atwal discussed the influence of Annie Besant on Indian politics and on women’s suffrage across the subcontinent as well as the subsequent influence of Besant’s work on Margaret Cousins. She then expounded on Cousins’ engagement with the Women’s Indian Association and the All-India Women’s Conference. The session closed with a response by Dr Selina Guinness (Institute of Art, Design, and Technology, Dun Laoghaire) who contextualised the conversation about Theosophy and progressive politics in a broader milieu of Irish social movements (such as vegetarianism, socialism, and activism). Questions from the audience sparked a discussion about Theosophical identities. Dr James Kapalo (UCC) opened a session chaired by Dr Marion Bowman (Open University, UK) by problematising the terms “folk” and “vernacular”. 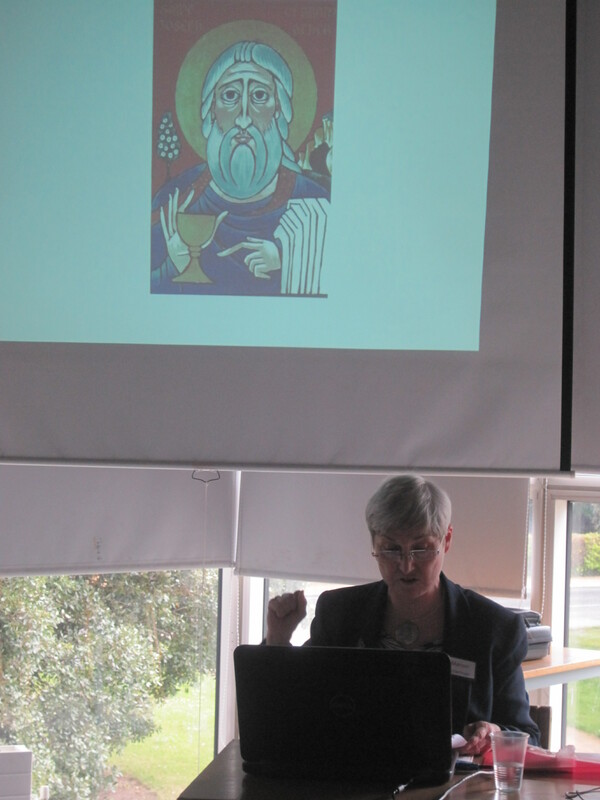 Dr Jenny Butler (UCC) spoke on Fairy Trees and Holy Wells as Sites of Nexus Between Different Popular Religious Traditions. She clearly illustrated the manner by which numerous power places have been re-appropriated by the Christian church and now house a form of dual religiosity and sacredness in Ireland. Her talk was followed by a discussion about potential difficulties that could occur between worshippers of different faiths sharing holy sites. Will Allen (UCC) continued the theme of Irish sacred geography with his presentation The 1954 Marian Year and Irish Folk Religion. The Marian Year externalised religion in the material form of statues and fundamentally changed the physical landscape of Irish Catholicism; the placement of these icons within community-maintained grottos fuses faith with the landscape. The follow-up discussion explored tensions between grotto committees and the official church with regard to number and placement of statues, examining issues of control and authority. In her paper Reinforcement and Resistance: the Challenge of Studying Folk Religion in a mid-Twentieth Century Irish City, Dr Síle de Cléir continued the theme of “popular Catholicism” versus church doctrine in Ireland through a historical study of Limerick city. The primary examples she gave for popular belief were banshees, fairies, and ghosts. A discussion on competitive group identities and their impact on local communities followed. A panel entitled Religious Educations examined Mormon and Theosophical educational enterprises. Adrienne Hawley (UCD) opened the session with Shaping Discourses of Academia: Academic Capital and the Church of Jesus Christ of Latter-day Saints. She addressed the success of the Brigham Young University system, a Mormon institution, which has achieved significant recognition in the sphere of higher education in the USA. Brigham Young University has yielded economic capital for the Mormons as well as benefitted the church by developing a successful, educated class of representatives. This generated a discussion of Mormon networking and the impact of religious funding sources on scientific enquiries and their results. Dr Mihirini Sirisena (NUI Maynooth) and Dr Laurence Cox (NUI Maynooth) jointly delivered a paper entitled What Buddhism? Whose Buddhism? John Bowles Daly, Mahinda College and the Buddhist Theosophical Society. A Theosophist and a spiritualist, John Bowles Daly played a formative role in Buddhist education in 19th century Ceylon. Their research was presented as part of a vibrant investigation into Irish-Asian trans-locative religious activity that includes research on the Irish Buddhists U Dhammaloka and Captain Pfoundes. Dr Marion Bowman (Open University, UK) presented her paper Ireland in Glastonbury: Brigit Comes Home in the panel Formations of British Religion, which explored Celticism and connections between Glastonbury, Ireland, and St. Brigit. Brigit has become such an important part of the Glastonbury experience that she has transcended her respective roles in Pagan and Christian culture. Brendan Macnamara (UCC) picked up this Glastonbury focus with his talk Wellesley Tudor Pole and the Glastonbury Phenomenon: The ‘Celtic’ Dimension of Pre-First World War Religious Discourse in Britain. The claim by Tudor Pole to have discovered a relic in a sacred site in Glastonbury sparked an ongoing discourse concerning the Holy Grail. Prof. Brian Bocking (UCC) and Dr Laurence Cox (NUI Maynooth) discussed the Irish Buddhist Captain Pfoundes and his relatively unsuccessful Buddhist Propagation Society in London. This research is particularly significant because this mission predates Allan Bennett (Ananda Metteya), previously believed to have established the first Buddhist mission in the UK. Prof. Brian Victoria of Antioch University gave a provocative public lecture entitled Reflections in a Catholic Mirror: The Struggle to Create a Buddhist Chaplaincy in the West. Focusing on examples from Christianity and Buddhism, he began by chronicling the manner by which religious texts have been used as justification for killings committed by soldiers in battle. His paper also illustrated the methods by which chaplaincies in military settings have been employed to harness the power of religion in support of the unity of the military and to alleviate possible guilt felt by soldiers on the battlefield. Prof Victoria personally felt that the current Buddhist chaplaincy in the US Military misrepresents Buddhism; this view generated a heated discussion about the limits of “engaged scholarship” and the potential dangers of essentialism and the authoritative voice. The session Sacred Landscape and Indigenous Imagery explored the relationship between religious belief and geographical composition within selected Adivasi tribes (indigenous tribes of India). In her paper ‘When Cats Grow Horns’: Sacred Nationalism among the Lepcha and the Lhopo, Claire Scheid (UCC) documented beliefs about Mt Khangchendzonga as a “hidden land” in both oral Himalayan folklore and textual Tibetan sources, positing that worship of the mountain has created a shared “sacred nationalism” among the Sikkimese. Dr Cécile Guillaime-Pey (Queen’s University Belfast) discussed the integration and relationship between land and deities among the Sora in Central-Eastern India in her paper Erecting Bodies of Stone and Meeting Growling Deities: Inventing and Experiencing Landscapes Among the Sora; her paper was followed by the showing of a “resistance film” created by an Adivasi artist. Dr Lidia Guzy (UCC) illustrated how mythological discourse served as a successful instrument of activism among the Paiko, Binjal, and Sora communities in Western Orissa, India. Her paper The Region of the Deer Swallowed Up by the Cobra: Mythological Concepts of Sambar Religion of Western Odisha (India) chronicled an Adivasi resistance movement of the 1980’s that successfully employed religious context and belief as a means of opposition against industrialisation. Discussion included the status of inter-tribal networking among indigenous resistance groups in India and the problematisation of the term “Adivasi”. We’d like to thank all of the presenters at ISASR 2013 for their innovative and insightful papers – and for their invaluable contributions to the growing field of the Study of Religions in Ireland.